I just got the pdf proof of the catalog in which my first illustrated chapter book appears (well, not MY book alone...the wonderfully talented Ann Cannon wrote it, I just did the pictures). 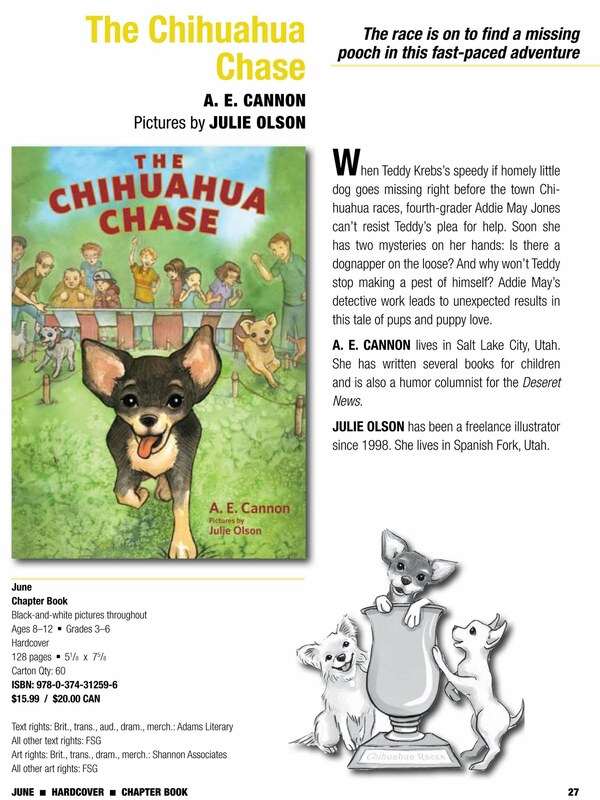 It's a GREAT story full of mystery, pre-teen "romance", and of course, chihuahuas! Watch for it.